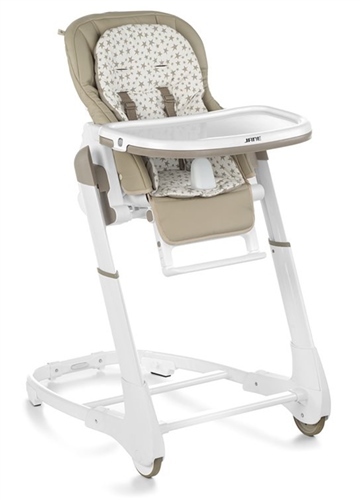 The Jane Wammy high chair combines modernism, ergonomic design, as well as manufactured using robust quality materials. The high chair is completely adjustable for height and seat recline positions to fit perfectly to the shape of the child and table. It can also be used as a hammock, ideal for naps after their meal. Practical and very compact when folded. For use from 0 months up to 3 years. Folding high chair with 5 reclining positions. 5 backrest positions, 8 height positions and 2 tray positions.